The settlement gained an identity in the 14th century, at first as East Hampton, or simply Hampton – ‘home farm or settlement’, and then Rokehampton. Both the ‘East’ and ‘Roke-’ affixes would have served to distin­guish this place from the better-known Hampton, of Hampton Court fame. The ‘Roke-’ element may have referred to the presence of rooks, rocks or oaks – probably rooks, according to the Dictionary of London Place Names. By 1498 the village had an inn and 20 houses, but the first dwelling of signi­ficance was Roehampton House, which was rebuilt from a hunting lodge around 1630. For the third quarter of the 17th century this was the home of Christiana, Countess of Devonshire. Among her guests here were the political philo­sopher Thomas Hobbes and most of the leading figures of the Restoration court. In 1777 Roehampton House was demol­ished and replaced by Roehampton Grove (now Grove House, shown in the photo­graph above*) – elimin­ating confusion with another Roehampton House that later became part of Queen Mary’s hospital (which has since been absorbed within the St George’s Healthcare NHS Trust). That Roehampton House was built in 1712, extended two centuries later and converted into luxury apart­ments a century after that. It’s shown in the photo below. Medfield Street and Roehampton High Street consti­tuted the nucleus of the village in the 18th century, while the the surrounding hills and vales were peppered with handsome villas that were occupied by a succession of eminent figures. Perhaps the finest surviving villa is Mount Clare, which was built in 1772 – probably by Robert Taylor – for George Clive, cousin to Lord Clive. The gardens were laid out by Capability Brown and the house was enlarged and enriched in 1780 by Placido Columbani. Shown in the photo below, Mount Clare is now surrounded by University of Roehampton halls of residence but no one lives in the villa itself, which is instead used as university offices. By the late 19th century, high-class suburban homes were increas­ingly in evidence and the aristo­cracy began to move away. Institutions took over some of the mansions but most were demol­ished during the 20th century. Private and council estates filled their former grounds, notably the innov­ative and influ­ential Alton estate, built in the 1950s. Roehampton Priory claims to be London’s oldest private psychi­atric hospital and has treated many celebrities for problems such as exhaustion, depression and various addic­tions. Much extended from a stuccoed Gothic villa that was built around 1800, the Priory has been a hospital since 1867. 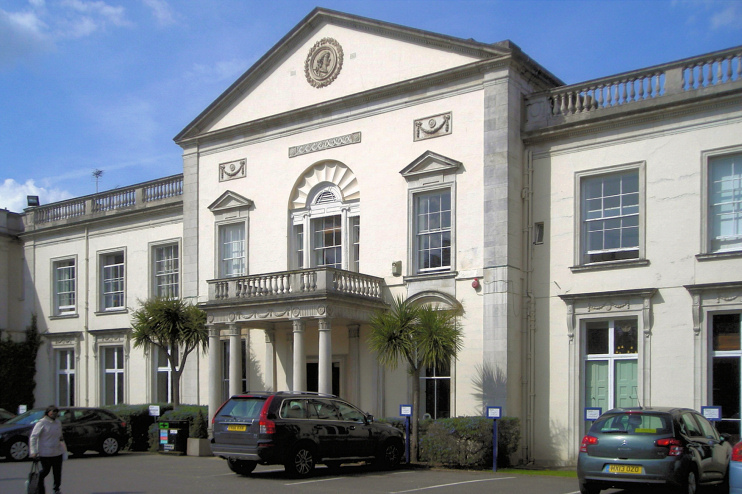 The University of Roehampton has evolved out of the Roehampton Institute, which was formed from the merger in 1975 of four Victorian teacher training colleges: Southlands (Methodist), Digby Stuart (Roman Catholic), Whitelands (Anglican) and the Froebel Institute (Humanist). The university’s emphasis on campus accom­mod­ation is the main reason why seven per cent of Roehampton’s residents live in communal estab­lish­ments – an excep­tionally high proportion. The poet Gerard Manley Hopkins studied at the Jesuit seminary at Manresa House. In sharp contrast, the risqué writer Frank Harris twice lived in Roehampton with his extremely young wife-to-be, Nellie O’Hara. Harris said that Roehampton and the French Riviera were his favourite places in the world. Benjamin Disraeli, prime minister and author, created an Earl and Countess of Roehampton in his autobiographical novel Endymion. 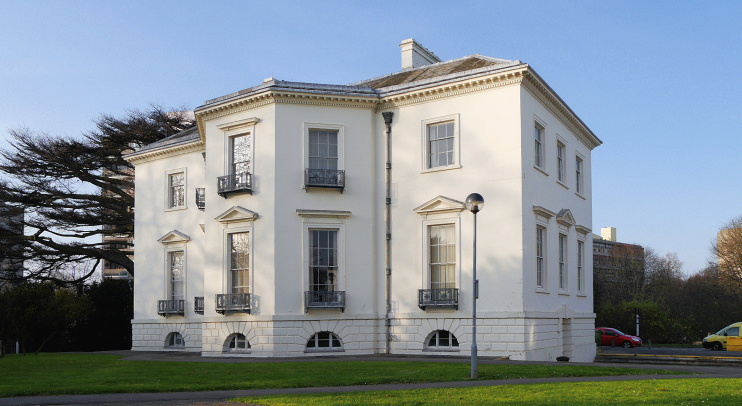 * The picture of Grove House, University of Roehampton, on this page is adapted from an original photograph, copyright Mark Percy, at Geograph Britain and Ireland, made available under the Attribution-ShareAlike 2.0 Generic Licence. The pictures of Roehampton House and Mount Clare are slightly modified from original photographs by Edward Hands at Wikimedia Commons, made available under the Attribution-ShareAlike 4.0 International licence. Any subsequent reuse is freely permitted under the terms of those licences.